What do we know about ricotta cheese? We know it originated in Sicily and has become something of a staple in many Italian dishes. We know it's often made from cow's milk (in America, at least) and has a pleasant, mild flavor. And we know that this gentle mildness makes it very versatile and a wonderful partner to a great variety of foods, sweet and savory alike. 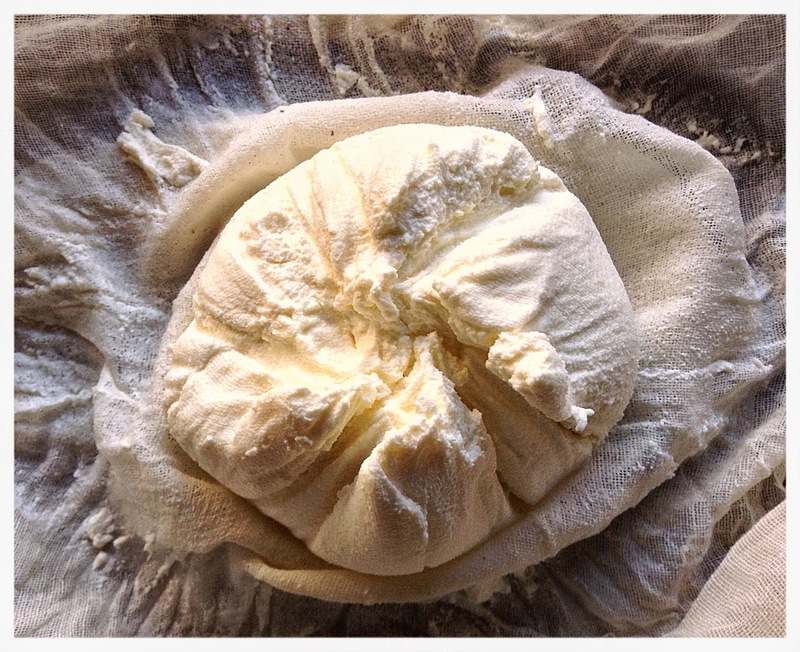 What many might not know about ricotta, is that it's seriously easy to make! With a little time, a few good ingredients and minimal effort, it's kind of a snap. And worth learning how to make because once you've had homemade ricotta, the store bought variety is going to seem really sub par (and that's putting it kindly). - Good lemons count - their flavor will be evident! In a sauce pan combine the half and half with the heavy cream. On low heat bring the cream up to 190 degrees. Take the sauce pan off the heat and gently whisk in the lemon juice. Allow to sit for 30 minutes and curdle. Line a colander or strainer line with cheese cloth, place over a deep bowl and pour in the now curdled cream. Allow to drain for 1 hour. 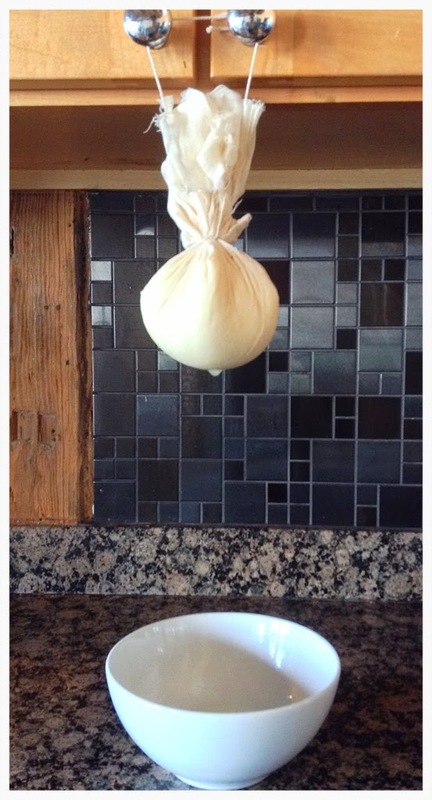 For a stiffer ricotta twist the cheese cloth around the ricotta, forming a ball and tie with butchers twine. Suspend the ricotta ball above the bowl (at home, I hang it from cabinet knob) and let drain for an additional 30 minutes. Refrigerate for at least an hour and enjoy! Note: As with last bonus post (sauerkraut) I've not paired a beer with this recipe. BUT a fantastic summer dish using this cheese (and pairing with a dynamite beer) can be found here. This is a greate recipe and very useful. thanks.